The NDP20 ice maker produces 22kg of 'cube' shaped ice in each 24 hour period and has a bin capacity of 6kg. These new generation machines have been designed for better access to all components, making installation and servicing operations easier than ever. AISI 304 18/10 Stainless Steel with box type frame and stainless steel pillars make this machine the strongest in the market. 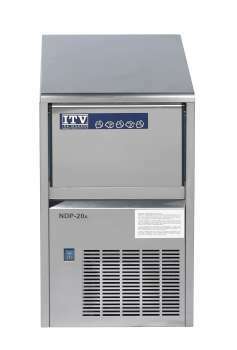 The NG45 ice maker produces 38kg of 'top hat' shaped ice in each 24 hour period and has a bin capacity of 20kg. These new generation machines have been designed for better access to all components, making installation and servicing operations easier than ever. AISI 304 18/10 Stainless Steel with box type frame and stainless steel pillars make this machine the strongest in the market. 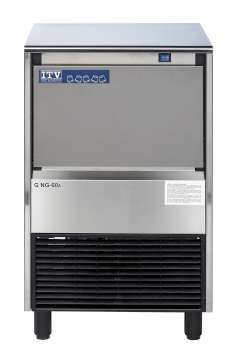 The NG60 ice maker produces 53kg of 'top hat' shaped ice in each 24 hour period and has a bin capacity of 25kg. These new generation machines have been designed for better access to all components, making installation and servicing operations easier than ever. AISI 304 18/10 Stainless Steel with box type frame and stainless steel pillars make this machine the strongest in the market. 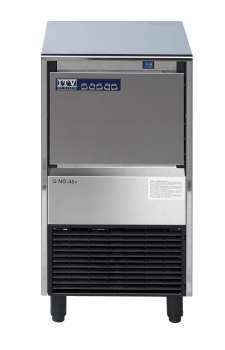 The NG110 ice maker produces 105kg of 'top hat' shaped ice in each 24 hour period and has a bin capacity of 60kg. These new generation machines have been designed for better access to all components, making installation and servicing operations easier than ever. AISI 304 18/10 Stainless Steel with box type frame and stainless steel pillars make this machine the strongest in the market. 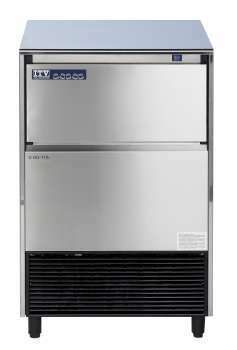 The NG150 ice maker produces 148kg of 'top hat' shaped ice in each 24 hour period and has a bin capacity of 75kg. These new generation machines have been designed for better access to all components, making installation and servicing operations easier than ever. AISI 304 18/10 Stainless Steel with box type frame and stainless steel pillars make this machine the strongest in the market.